The Partition in history is a record of a point in time when the country was split apart along religious lines. It is an abstract piece of history for most people. While many books have documented the Partition and the violence surrounding it, most have focused on the social and political causes, and analyzed it as a collection of abstract data. 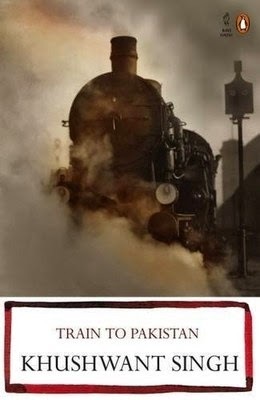 Train To Pakistan is one of the books that focuses on the human drama, the real suffering of the people caught in the middle. Mano Majra is a village that suddenly becomes part of a border between two countries. The population of the village is predominantly Sikh and Muslim. When news of communal riots and killings reach the village, the different communities express their support for each other and swear to defend one another. However, external influences are just waiting around the corner to disturb this idyllic harmony. A train filled with the massacred bodies of Hindus and Sikhs arrives at Mano Majra. Slowly, passions gets stoked up, especially by the influx of refugees from the newly created Pakistan. They have tales of horror to tell, and the passions of Sikhs and Hindus of the village are stirred up. Vested interests, including that of the village magistrate’s, stir up the flames. Hindus and Sikhs who just recently swore to stand by their Muslim neighbors now turn against them. Caught in all this are Juggut Singh and Iqbal. Juggut is a criminal, while Iqbal is a western educated intellectual who is on a mission to reform society. The common thread that binds them together is that they are both thrown into jail as suspects in a murder. Ram Lal, a local moneylender, has been murdered. Ram Lal was a Hindu and this is used by subversive elements to incite violence against Muslims. The police, in a desperate attempt to divert attention, arrest Iqbal and Juggut. Meanwhile, as the violence escalates, a train arrives to take the Muslim population of the village en masse to Pakistan. But the rioters have no intention of letting the Muslims leave in peace. Khushwant Singh was a journalist and author. Other books by this writer include The History of Sikhs, The Fall of the Kingdom of the Punjab, Not a Nice Man to Know: The Best of Khushwant Singh, Truth, Love and a Little Malice, The Sunset Club, and Paradise and Other Stories. Khushwant Singh was born in 1915 in a region of Punjab which is now a part of Pakistan. He studied at St. Stephen's College, Delhi, and at King's College in London. He later studied for the Bar at the Inner Temple. During his journalistic career, he has worked with numerous publications like the Yojana, The Illustrated Weekly of India, Hindustan Times and The National Herald. During his tenure as Editor of The Illustrated Weekly, the magazine’s circulation jumped from 65,000 to 400,000. Khushwant singh is known for his caustic wit. He has been a member of the Rajya Sabha. He was awarded the Padma Bhushan in 1974.